In these Terms and Conditions “we, our, us, AHOSIBEAUTY.COM, refers to “ AHOSI LLC“. AHOSI BEAUTY online store offers customers the opportunity to shop via the web. Please ensure that you have ordered the correct items, use your correct shipping address. All orders are subject to acceptance of that order by us. Goods may be shipped from any of our International locations. When your order is submitted you will automatically receive a return email notifying you that your order is being processed. You consent to us contacting you via your email provided at time of registration, regarding your order details for your order to be accepted and completed. You will then receive a second email on dispatch of your order. Your order is only accepted by us once we have dispatched the goods to you. We aim to ensure all our products will be in stock and readily available. However, some items may prove to be more popular than expected, therefore there will be occasional delays. If this occurs we will give you our very best estimated time of expected delivery and will keep you informed on any updated information regarding this product. We will also try to keep our online prices up to date and error free. Prices may change from time to time, and there may be times that prices may be different from your previous order as specials on different products will change monthly or weekly. The correct price will be shown on your invoice and will correspond to the correct price on date of dispatch. We reserve the right to correct any errors, or illustration errors throughout the website. Because of the nature of our products, we do not accept any of the products being returned nor do we offer a refund. AHOSI LLC, reserve the right to change any part of this agreement without notice and your use of the Website will be deemed as acceptance of this agreement. We advise users to regularly check the Terms and Conditions of this agreement. AHOSI LLC have complete discretion to modify or remove any part of this site without warning or liability arising from such action. AHOSI LLC will NOT be liable for indirect, special, or consequential damages including any loss of business, revenue, profits, or data in relation to your use of the Website. 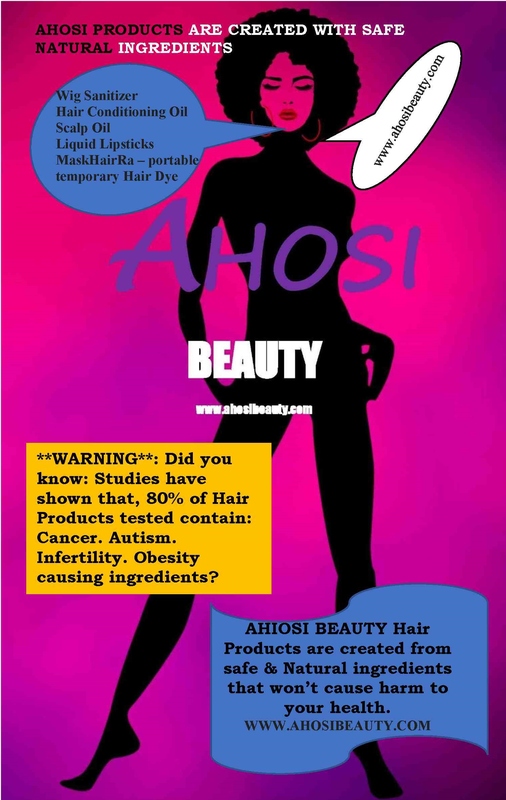 All intellectual property of AHOSI LLC such as trademarks, trade names, patents, registered designs and any other automatic intellectual property rights derived from the aesthetics or functionality of the Website remain the property of AHOSI LLC. Other product and company names used on our website may be the trademarks or registered trademarks of other companies. By using the Website you agree to respect the intellectual property rights of The Hair and Beauty Company and will refrain from copying, downloading, transmitting, reproducing, printing, or exploiting for commercial purpose any material contained within the Website. We do not guarantee uninterrupted availability of the Website and cannot provide any representation that using the Website will be error free. Every effort is made to ensure all product information and prices are correct, however, AHOSI LLC reserve the right to correct any errors and/or omissions. This Agreement will be governed by the laws of the United States of America, and any user of the Website hereby agrees to be bound exclusively by the jurisdiction of the USA courts without reference to rules governing choice of laws. We thank you for your purchase and cooperation.